BarCamp Prishtina started in 2011 with the mission of reaching out to youngsters in an attempt to motivate them to take part in a new era of leadership and instill change. Since 2011, many topics have been discussed, many characters, personalities have presented their successes and challenges of their academic and professional life.at the informal stage of BarCamp Prishtina. Young people and residents have generally fill up the spaces of BarCamp stage, to imbibe from our speakers and share ideas and experiences with each other. 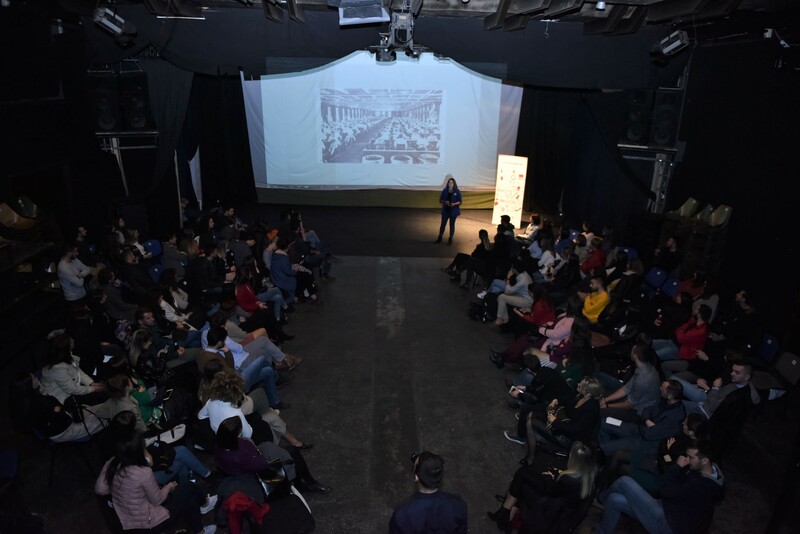 Fast-forward to 2018 BarCamp Prishtina has organized over 49 editions, invited 150 speakers, and discussed more than 49 topics. This Golden Edition was opened by our moderator Çelik Nimani (Entrepreneur, co-owner of FRAKON). Çelik gave the audience e better understanding of the BarCamp format and its history. Our first speaker Uta Ibrahimi, who is one of the first Kosovars and the first woman to ever climb the highest mountain in the world, Everest. However, Uta Ibrahimi’s journey was not difficult because of her climb to the highest peak of the world, but rather because people around her did not believe Uta’s dream. Uta proved to us that every dream is achievable, no matter how crazy it sounds, with passion and hard work, we can make the impossible possible. Our second speaker Arta Shehu Zaimi, founder of Jcoders is revolutionizing informal learning in Kosovo. When everyone else was seeing problems, Arta saw solutions! JCoders academy wants to create a new generation of creators by exposing young children to informational and creative technology. during her many years of teaching, she noticed that the didactic products used for children were limited and left no room for mistakes. Noticing this problem, Arta and her team managed to develop their teaching kit, LabBox, the first of its kind, made and developed in Kosovo. Now LabBox allows children to learn more, to learn by making mistakes and most importantly to have fun throughout. Visar Arifaj reflected on the benefits that staying all day on the computer had for him, he explored the options that internet and piracy, as such he started playing around with different designing software. At 16 year old he managed to create his very first webpage, which after three days of going online, landed him his first job. For Visar, the real teachers were the software and the internet (fortunately and unfortunately). At the end of the event, everyone got the chance to ask questions and to interact with the speakers, through our reception making this another amazing BarCamp.